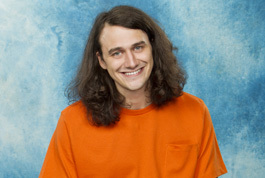 WeLoveBigBrother.com is excited to introduce you to the 16 NEW houseguests who will compete on Big Brother 15. We spent the beginning of the week meeting and interviewing the new houseguests. Be sure to check out all of our video interviews. BIG BROTHER welcomes 16 new Houseguests for 15th installment of the CBS reality series which premieres Wednesday, June 26 (8:00-9:00 PM, ET/PT) on the CBS Television Network. Julie Chen returns as the host. Below are the 16 NEW Houseguests who will spend the summer competing for $500,000. Follow WeLoveBigBrother.com online and on Twitter @wlbb. This summer, BIG BROTHER will feature two new twists: for the first time on the series, three Houseguests will be nominated for eviction, and America will play an important role in the game by voting for the weekly “Big Brother MVP.” Further details on both twists will be revealed during the season premiere. America can begin casting their votes today for this season’s first “Big Brother MVP” by visiting cbs.com/BBmvp to cast their vote. The site will include each Houseguest’s BIG BROTHER strategy. 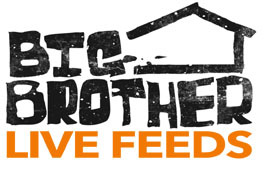 Following the premiere on Wednesday, June 26 (8:00-9:00 PM, ET/PT), BIG BROTHER will be broadcast three nights weekly, beginning Sunday, June 30 (8:00-9:00 PM, ET/PT), Tuesday, July 2 (9:00-10:00 PM, ET/PT) and the LIVE eviction show, hosted by Julie Chen, beginning Wednesday, July 3 (8:00-9:00 PM, live ET/delayed PT). BIG BROTHER follows a group of people living together in a house outfitted with 65 cameras and 98 microphones recording their every move 24 hours a day. Each week, the Houseguests will vote someone out of the house. At the end, the last remaining House Guest will receive the grand prize of $500,000.